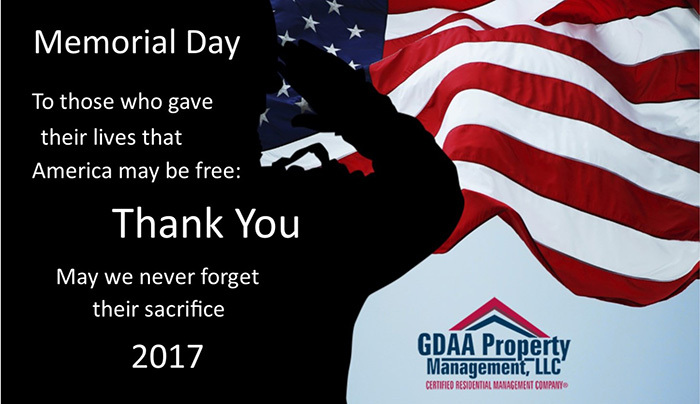 In observance of the Memorial Day holiday, the GDAA Property Management office will be closed Monday, May 29th and will reopen Tuesday, May 30th. 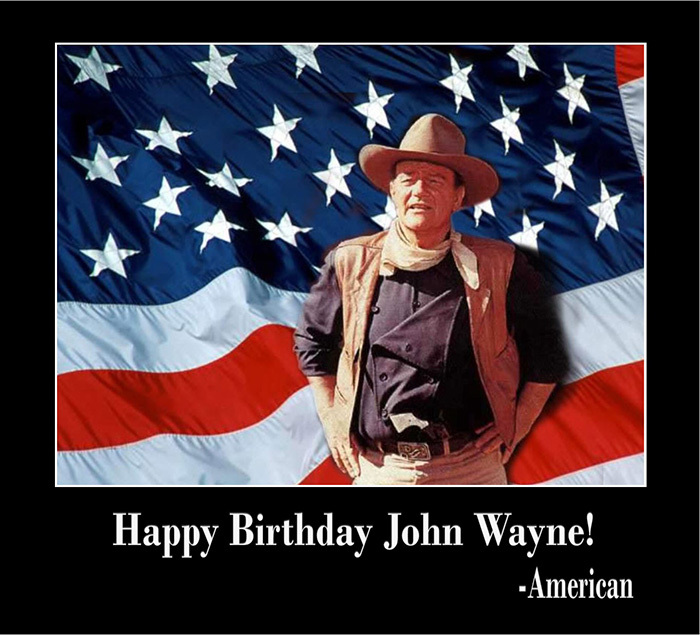 AUSTIN, Texas, May 26, 2015 /PRNewswire/ -- The Texas Legislature officially adopted a resolution declaring May 26, the birthday of the enduring American icon John Wayne, as "John Wayne Day" in the State of Texas. Texas Governor Greg Abbott issued a proclamation declaring the iconic star an honorary Texan. In this video, Greg Doering, owner/broker of GDAA Property Management, talks about how to make the process of referrals easier on the agents. Agents are our valued clients as much as our owners and tenants, so we constantly find ways to make the referral process easy on them, knowing how hard they work. First, we always post our leasing criteria online. This way, you and your clients will know ahead of time if they are qualified to apply for a property. We also post any specific terms or conditions from the landlord who owns that property. We want to be upfront about it prior to you showing the tenant that property. We also have an online application and online portal so that the tenant can easily fill out the application from the comfort of their home, a Starbucks or their office. When they submit a payment online, the application starts processing immediately. This means you won't be running around, trying to wait for your tenants to come up with a cashier's check or money order. They can just apply online, plus it is also less expensive to process the application when they apply online. Another advantage of applying online is the convenience of not receiving annoying phone calls stating that additional information is required or that the applicant's information couldn't be read because they were illegible. We believe that we have established a system that is easy and convenient on you, our realtor friends who bring us tenants. If you are in need of excellent property management services, sage property management advice or want to check out our available #HuttoHomesforRent, please don't hesitate to give us a call or visit our website. Thanks for watching! Experience only the best and professional Hutto property management with us at #GDAAPropertyManagementLLC! Learn more about us and our services at http://www.gdaapm.com/hutto-property-management. 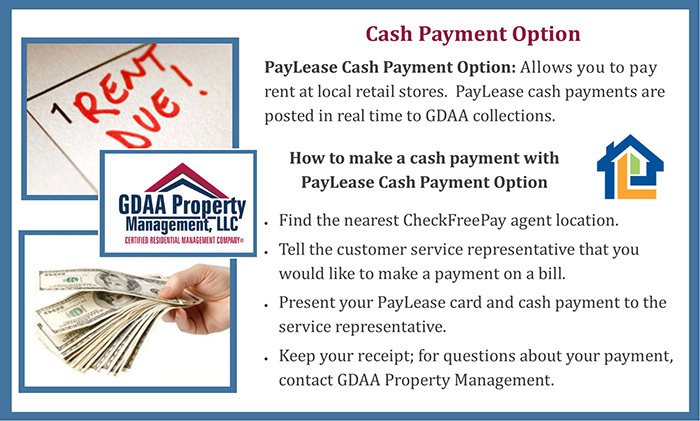 Our CashPay solution lets residents in Round Rock, TX and other locations electronically pay rent with cash from one of 25,000 CheckFreePay® locations nationwide. This is a great convenience to our leasing clients! 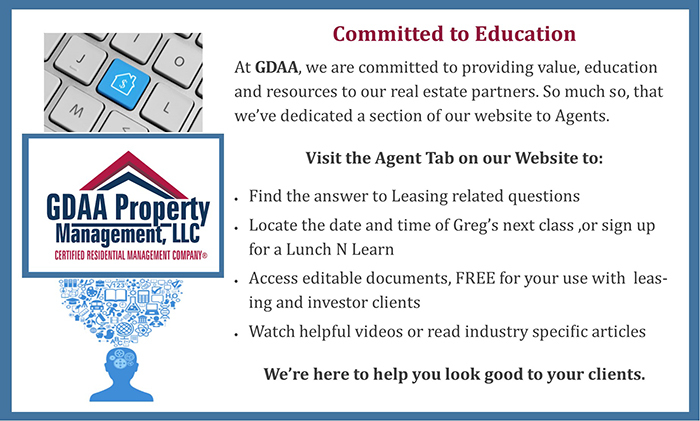 In this video, Greg Doering, owner/broker of GDAA Property Management, talks about the important information owners need to know when placing tenants in their rental properties. By following these few simple tips, you not only get happy tenants but possibly save time, as well as money on court costs at the end of the lease. The first thing you need to do is complete a thorough background check. This includes the prospective tenant's credit, criminal and rental history. Stick with your standards regardless, as it is better to decline an applicant rather than accept one that is less than your standards. Next, make sure you always have a firm written lease. We use Texas Association of Realtors leases that have specific dates, times and terms and conditions that protect you, the landlord and your tenant. Always provide an inventory condition report to the tenant upon move-in. With our company, we require that it be returned within two days from the move-in date. Under Texas law, the property is assumed to be in pristine condition, unless the tenants make specific notes in the inventory condition report that they turn in. It's very important to give that to the tenant and receive that back since you're going to use that when they vacate the property. You also need to take photo documentation prior to the tenant moving in. You can ideally take about 100-150 photos of both the interior and exterior of the property because you want to be able to state in court exactly what's going on. This also prevents any problems down the road, and this is also for the tenant's protection. Lastly, take photo documentation again after the tenant moves out. Before-and-after photos are clear documentation. Remember as well that you have 30 days from the time the tenant vacates to give a full accounting of the security deposit. We hope these tips are helpful. Thanks for watching and if you need excellent property management services, sage property management advice or want to check out our available #HousesforRentinGeorgetownTexas, please don't hesitate to give us a call or visit our website. In this video, Greg Doering, owner/broker of GDAA Property Management, addresses owners and investors specifically about what tenants really want. First is, they want to move into a property that's clean, well-maintained and where everything is working well. Second, they want a timely response to maintenance issues. Tenants understand that hot water systems leak, that toilets jiggle and run, but what they get frustrated about is the problem running for days or weeks without anyone responding to their calls for help. And last, but not the least, they want consistent communication with the property management company or the landlord. Whenever they send emails or call in a request, they would like to have it all responded to in a timely manner. Most tenants are very reasonable, they understand that getting their requests answered or issues resolved may take time, but consistent communication takes care of that. So basically, that's all there is to it: a clean, well-maintained property, timely responses to maintenance issues and consistent communication--these are the things that will make your tenant very happy. In our company, we believe that we are the voice for the owner and the advocate for the tenant. If you are in need of excellent property management services, sage property management advice or want to check out our available #CedarParkHomesforRent, please don't hesitate to call us or visit our website. Thanks for watching! Experience only the best and professional property management in Cedar Park TX with us at #GDAAPropertyManagementLLC! Learn more about us and our services at http://www.gdaapm.com/cedar-park-property-management. Through experience we've identified small details that give predictability on a tenants likelihood to stay current with rent and/or respect an owners asset. This attention to detail helps us to make informed decisions and protect your investment. When it comes to being an agent in Kyle Tx, one should know that it is not for the unprepared individual. It is clear that being a leasing agent involves a lot more than finding a tenant and collecting rent. When you’re an agent working with a property owner who wants to lease out their property, you not only need knowledge of legal issues and documentation but you also need the will power to take on all the responsibilities that come with advising your clients. Agents can be held responsible for so many things, and if you hold up your end of the deal, chances are that your relationship will work in your favor. We want to help you be prepared. We want you to be successful, and we want to help you look good to your clients. Nick Pronsky, a mortgage loan officer of Legacy Mutual Mortgage, is happy to work with GDAA Property Management. He and his wife have two investment properties, and #GDAA Property Management, LLC manages these for them. He knows that he cannot accomplish the daily issues as a landlord, so he considers choosing to work with GDAA Property Management as one of the best decisions they have ever made. Aside from that, he is very satisfied with the team’s overall service, so he highly recommends GDAA Property Management LLC to his clients who are interested to invest in rental properties. If you want to check our exceptional property management services or see an #housesForRentInRoundRockTX, please call or visit our website now! Thank you for watching! 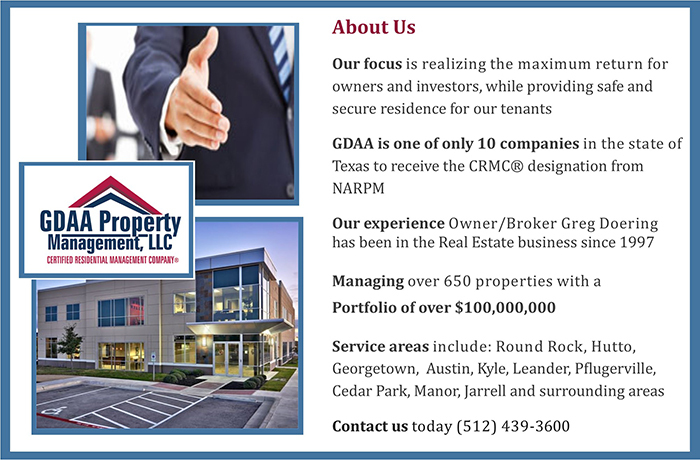 Experience only the best and professional property management in Round Rock, TX with us at #GDAAPropertyManagementLLC! 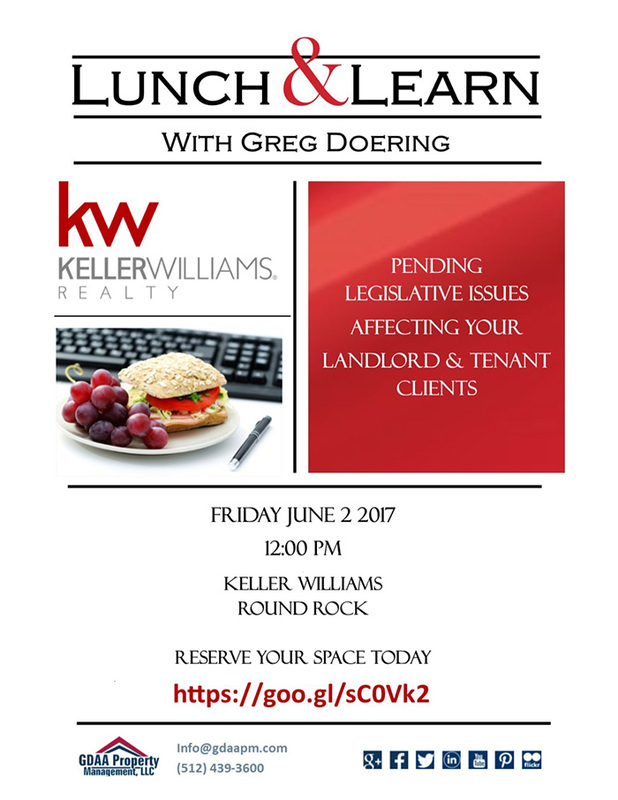 Learn more about us and our services at http://www.gdaapm.com/round-rock-property-management.